Irish coastguard helicopter pilot Dara Fitzpatrick has died in hospital following a S92 Helicopter Crash off the coast of County Mayo in the Republic of Ireland. Captain Dara Fitzpatrick was taken to hospital on Tuesday after being found in a critical condition by RNLI crew. Unfortunately her condition proved too severe and she later succumbed to her injuries. She passed away early yesterday morning. Mark Abbey, CHC EMEA’s regional director, said: “It is with deepest regret that we can confirm that Captain Dara Fitzpatrick passed away following today’s accident off the coast of County Mayo in the early hours of this morning. “We are devastated by this morning’s tragic accident. Our thoughts are with Dara’s family and friends, as well as those of the three crew who are still missing. The surface search for her three colleagues who are still missing has resumed this morning. The aircraft lost contact at about 01:00 local time as it was coming in to refuel during a rescue operation. The three other crew on board have been named as Chief Pilot Mark Duffy and winchmen Paul Ormsby and Ciarán Smith. Irish coastguard search and rescue manager, Gerard O’Flynn said Ms Fitzpatrick was the most senior pilot with CHC which runs the contract to provide search and rescue services in the Republic of Ireland. “She’s been with the company for some 20 years and outside of her work as a pilot she did an enormous amount of work on water safety and was always available to do school visits and just highlight basic water safety,” he said. Capt Fitzpatrick was the mother of a young son. Her sister, Niamh Fitzpatrick, paid tribute to her on Twitter and asked for prayers for her missing crew members. Unite the Union would like to express our condolences to family and friends of all involved in this tragedy. Our thoughts and prayers are with all the emergency crews at this sad time. A Coastguard Helicopter (Rescue 116) crashed into the Atlantic Ocean at around 1am this morning. One crew member has been rescued with three others still unaccounted for. Rescue 116 was part of a two helicopter operation to medevac a patient from an offshore fishing vessel. The patient was being transported in the other Search and Rescue aircraft. Coastguard Director Eugene Clonan said “Hopes are fading” as the search for the missing crewmen enters it’s eighth hour. The search is being conducted 6 miles west of Black Sod in County Mayo and the aircraft debris has already been recovered. Rescue 116 is a Sikorsky S92 Helicopter which was operated on behalf of the Irish Coastguard by Helicopter Operator CHC. No details concerning the cause of the crash are available at this time. “We confirm that there has been an incident involving one of our Search and Rescue (SAR) Helicopters off the west coast of Ireland. “At approximately 1am contact was lost with one of our SAR Helicopters. A major sea search is ongoing off the county Mayo coast approximately six miles west of Blacksod. SAR Helicopters from Sligo and Shannon are on scene along with the Air Corps Casa. Ballyglass and Achill all weather lifeboats (ALBs) are on scene along with five local fishing vessels. The Sligo based Coast Guard helicopter R118 completed an early morning medical evacuation (medevac) of a crewman requiring urgent medical attention from a UK registered fishing vessel approximately 150 miles west of Eagle Island in County Mayo. Russian fishing vessel some 180 miles North West of Erris Head Co. Mayo. Owing to the distance involved safety and communication support, known as Top Cover, was provided by the second Coast Guard helicopter, the Dublin based R116. The search operation is being coordinated by the Coast Guard Rescue Coordination Centre in Malin Head. Both helicopters refuelled at Blacksod prior to transiting to the scene. Unites` thoughts are with family friends and colleagues involved in the incident . Also Unite would like to commend all emergency crews on their professionalism and bravery in carrying out a dangerous and hazardous job. Helicopter Health & Safety is no accident if you work in the offshore oil & gas sector and travel or work on helicopters get protected get organised and Join an offshore trade union today, working collaboratively with the Offshore Coordinating Group (OCG ) http://www.offshoreworkers.org.uk/ and Norwegian Oil& Gas sector unions to improve and maintain helicopter safety. Wood Group Merger – Job Losses Inevitable, Aberdeen HQ to Stay Chief Executive of Wood Group Robin Watson, has announced that he will remain committed to the Granite City after a merger with Amec Foster Wheel was announced throwing thousands of jobs into question. The two organisations employ 64,000 people between them, and the merger will see many positions having more staff than necessary, resulting in inevitable job losses and redundancies. According to reports from an inside source, Wood Group took only 8 days to agree the £2.2 Billion takeover of it’s rival Amec Foster Wheeler. For Amec, the offer could not have been better timed as huge debts take their toll on the day to day running of the organisation. The all-share deal was announced on Monday, just over a week before Amec planned to suspend dividend payments and ask shareholders for £500m via a rights issue to ensure it had sufficient headroom to avoid a breach of its debt covenants with lenders. The takeover is the latest in a string of oilfield services deals at a time when the sector has been under strong pressure. After crude prices plunged in 2014, its customers — oil and gas producers — slashed their spending. General Electric, a leading US company in the industry, last year agreed to combine its oil and gas business with Baker Hughes, a domestic rival, and Schlumberger, another big sector player, acquired energy equipment manufacturer Cameron International. But Wood Group’s swoop on Amec is particularly opportunistic, as the latter was struggling with more than £1bn of net debt — a painful hangover from an ill-timed $3.3bn takeover of US rival Foster Wheeler in 2014. The oil price slide hit at just the wrong time, as the enlarged company was focused on integration. 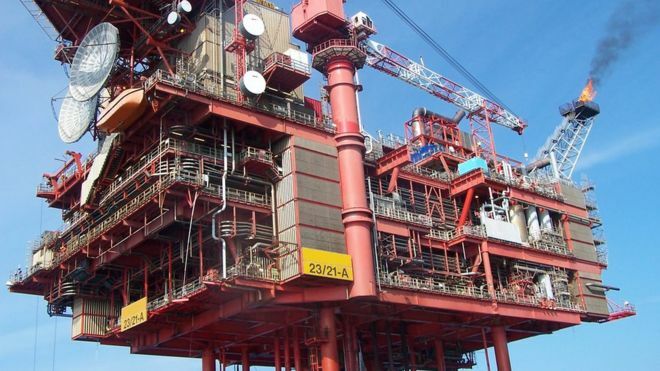 “When they did the Foster Wheeler takeover, they focused on the deal synergies and did not capitalise on falling sector costs and margin pressure as a result of the oil and gas downturn,” says Victoria McCulloch, analyst at RBC Capital Markets. Annual revenue at Amec’s oil and gas business, its largest division, has dropped almost 31 per cent between 2014 and 2016, to £2.3bn. Meanwhile, by the end of December, Amec’s ratio of net debt to adjusted annual earnings was 3.3 times, and the company was heading towards a covenant test on its borrowing facilities on June 30. Amec last summer parachuted in a new chief executive, Jonathan Lewis, previously a senior manager with Halliburton, to help turn round its fortunes. Mr Lewis has been swift to cut costs — including laying off 650 middle managers in the fourth quarter of last year — and was working towards a target of raising £500m of disposals by June. John Connolly, Amec’s chairman, was keen to stress on Monday that the company had made “significant progress” since Mr Lewis’s arrival and the board had been preparing to stand behind the rights issue and other steps necessary to survive as an independent company. But analysts say the Wood Group bid has provided Amec with a get out of jail free card. Shares in Amec jumped 20 per cent in early trading on Monday and closed up 11 per cent as investors relished the prospect of an offer with a premium, rather than a rights issue. In spite of Amec’s recent woes, Wood Group insisted it was buying a company with a “tremendous” reputation and, crucially, exposure to other sectors that are growing and less volatile than oil and gas. Amec is working on the proposed third runway for London’s Heathrow airport and consulting on proposed carbon capture and storage projects. Although oil and gas still account for the biggest share of Amec’s revenue, sales at its power and process division — which provides services for companies generating electricity from conventional and renewable energy sources — have increased nearly 49 per cent since 2014 to slightly less than £1.5bn at the end of 2016. The combined business will generate 60 per cent of its revenues from the oil and gas industry, compared with 85 per cent at Wood Group currently. Wood Group also sought to play down debt concerns. The enlarged group will have pro-forma net debt of $1.6bn, meaning it amounts to 1.9 times annual earnings, before expected synergies of what the companies said were “at least” £110m a year. That debt ratio is expected to reduce to between 0.5 and 1.5 times 18 months after completion of the deal, Wood Group said. One Wood Group shareholder, Investec, said it favoured the deal. “We like it for three reasons: it is well timed, it diversifies Wood’s business, which in the long run is a good thing, and it appears to us to be accretive,” said Tom Nelson, Investec’s head of commodities resources. The deal will need approval from competition watchdogs in six countries, including the UK, where there is significant concern among rivals about the market power of a combined Wood Group and Amec in the North Sea. In the worst-case scenario, Wood Group would have to sell off businesses in the North Sea to gain approval, one person close to the deal said. But Robin Watson, chief executive of Wood Group, suggested that even with a smaller North Sea business the acquisition would pay off. “We are confident that the merits of the overall deal are not compromised by the North Sea situation,” he said. Oil services company Wood Group has reached an agreement to take over rival Amec Foster Wheeler in a £2.2bn deal. Aberdeen-based Wood Group said the deal would result in “significant cost and revenue synergies” of at least £110m a year. The cost savings are likely to impact on administrative jobs across the combined group. Wood Group employs 29,000 people while Amec has 35,000 workers. The new entity would be valued at about £5bn. Shares in Wood Group rose 6.85% in morning trading, while Amec’s shares increased by 17%. Under the terms of the all share transaction, Amec shareholders would hold 44% of the new entity, with the offer price of 564p representing a 15% premium to Amec’s closing share price of 489.2p on Friday. Wood Group’s chairman Ian Marchant said: “The combination extends the scale and scope of our services, deepens our existing customer relationships, facilitates further development of our technology-enabled solutions and broadens our end market, geographic and customer exposure. Shareholders will be asked to vote on the deal, but the boards of both companies have unanimously recommended that it should be approved. Debt-laden Amec had planned to launch a £500m rights issue to bolster its balance sheet, but those plans have been suspended following the offer from John Wood. Amec chairman John Connolly said the tie-up supports its “standalone prospects”. If the deal is approved, Robin Watson and David Kemp, currently chief executive and finance boss of Wood Group respectively, will continue in the same roles in the combined entity. Ian Marchant is also set to continue as chairman of the new firm. As you will be aware Union members, working under the Offshore Contractors Association Agreement, rejected an offer from the OCA in a consultative ballot vote following which both Unite and GMB declared a formal Trades Dispute with the OCA. In an attempt to avoid a Trades Dispute your union Workplace Reps, National and Regional Union Officers have held further negotiations over the past few weeks with senior officials of the OCA as per the dispute resolution procedure. We have repeatedly pointed out to the OCA employers that we want all those working under the OCA agreement to receive a pay increase so that those who are on wages above the OCA minimum pay rates should get their OCA part of their salary uplifted by the % increases offered by the OCA. Unfortunately, the OCA are saying that their mandate only covers the minimum rates of pay. It would then be down to the individual OCA companies who pay in excess of the OCA rates to decide if they apply the % increase to the additional part of their employees’ salary or not. We are now communicating this OCA offer to you because it’s the Unions members that decide if the pay increase offer is acceptable or unacceptable as it’s not for the Union Workplace Reps or Union officers to make that decision. We would be grateful if you now gave careful consideration to the OCA pay increase offer as outlined in their letter and decide whether you find it is acceptable or not. Postal ballots are not giving us the desired high percentage ballot returns we would like to get from our Unite members. It is, of course, vital that we reach out to all our members and they cast their votes accordingly. As ever, it is you the member who will determine the outcome of this ballot. Please make sure that you exercise your digital vote no later than 12.00 noon on Monday 20th March 2017 and encourage your fellow Unite members to do likewise. You will be receiving an email with your unique voting code and details how to vote very shortly. Please check your emails and junk/spam folders in case in goes there. If you do not receive the voting email contact the Unite office on 01224 645271. We are still requiring an update from some Union members as to their personal details of job title and current work location so we are continuing to write or e-mail separately to those who we still need these details from. So if you have received a letter or e – mail requesting this information then please respond as we do need it for legal purposes for a strike ballot. This is because should the OCA pay offer be rejected then it’s more likely that we will be looking at sustained periods of strike action over the coming months and possibly throughout the summer should the return from an industrial action ballot give union members that legal mandate to strike.